SINGAPORE (HER WORLD) - When it comes to summer heat, Singapore’s is pretty relentless. Thankfully, these home-grown cafes have got their ice cream and gelato games down pat and are ready to help cool you down whenever temperatures get a little high. Check out these delicious, and often innovative, flavours as well as a range of icy-cold desserts that will make those 32 degrees and up days bearable. Tom’s Palette, which was started 12 years ago by Mr Chronos Chan and his wife Eunice Soon, has always been focused on creating flavours using unconventional dessert ingredients. Ever since the creation of their Salted Egg Yolk Ice Cream (inspired by the Liu Sha Bao, a steamed bun with a runny salted egg yoke custard filling) six years ago, the owners have been challenging themselves to push the boundaries. Each ice cream flavour (from $4 for a single scoop) is designed to evoke all senses, bringing together aroma, flavour, and texture. So far, they have stirred the imagination with amazing flavours such as Parmesan Cheese and Cream Crackers, White Chocolate Nori (seaweed), a luscious Vegan Peanut Butter flavour and Nasi Lemak Ice Cream. Calling the Nasi Lemak Ice Cream his most challenging flavour to date, Mr Chan says the base is made with glutinous rice infused with lemongrass, coconut and pandan leaf, which replicates the rice flavour in the dish. The mix-in contains powdered ikan billis, skin-on peanuts, white chocolate, laksa leaf and chilli flakes - much like the real nasi lemak. First, the pandan and coconut aroma greets you, then comes the sweet, creamy ice cream with the lovely crunch of peanuts and ikan bilis, followed by a lightly spicy finish, totally capturing the essence of the beloved rice dish in every mouthful. 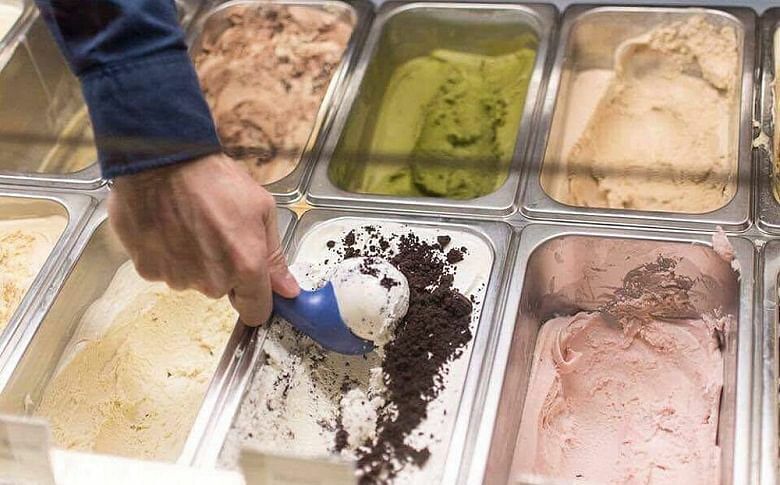 This cosy little shop located along River Valley Road specialises in small-batch artisanal gelato and sorbets that are absolute flavour bombs (from $5 for a single scoop). 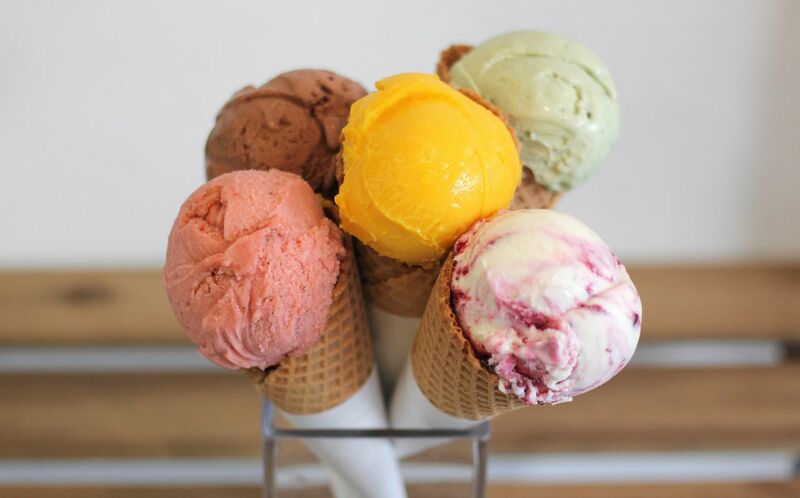 It has an extensive range of gelato that spans from good old classics, such as vanilla and strawberry (there are six variations of this), to the bold and quirky, such as nostalgic Root Beer Float and funky Roquefort Bleu that is made with blue cheese, honeyed pear and a speculoos swirl. Co-owners Jack and Ingrid draw their inspiration from anything and everything around them and the sky is the limit. It could be something they tasted during their travels, like the vegan Cocomatcha flavour that came from a coconut and matcha cake they tried in Japan, or it could be collaborations with other brands that sparked fireworks – like the awesome Brewlander beer flavour and the Singapore Breakfast flavour that features soya sauce from a local soya sauce producer, eggs and toast in the gelato that they presented at the Funkd: A Fermentation Festival held earlier in May. They also have a vegan range and offer a mix of dairy-, nut-, egg- or gluten-free options so that everybody can enjoy his gelato. And when the season is right, they whip up a creamy, rich Mao Shan Wang gelato that is pure durian bliss. At Merely, located at Sunshine Plaza and Our Tampines Hub, it is all about making ice cream as tasty and flavourful as possible (from $3.50 for a single scoop). 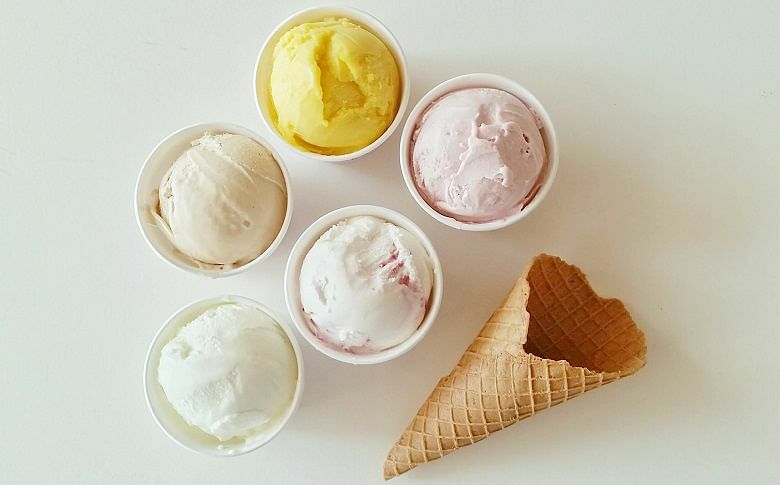 Co-founder Tham Ying Wai shares that natural, quality food ingredients are used in each handcrafted batch of ice cream and most of its ice cream creations contain mix-ins, either in the form of chunks of ingredients or sauce swirls. These mix-ins provide the additional oomph of flavour for their delightful ice creams. Think: Oreo Milk flavour with oreo chunks and cream cheese mixed into the base, and the new Ondeh Ondeh flavour that has an ice cream base made with pandan leaves-infused milk and mashed sweet potato, then mixed with gula melaka caramel sauce, toasted desiccated coconut and gula melaka shavings for that smokey caramel boost. Merely is also known for its quirky and bold flavours. We hear of a Hokkaido-style ramen-inspired Miso Mamee flavour (white miso, sweet corn and topped with caramelised Mamee noodles) and a potato chip and popcorn flavour (the base was made with potato chip-infused milk and the churned ice cream was topped with its housemade pop corn) that was done previously. Its latest wacky flavour? A Shoyu Seaweed Caramel creation to celebrate its recent 6th-year anniversary. It has a base of milk and sashimi soya sauce and is topped off with seaweed for a touch of umami. The sweet, creamy, lightly savoury and umami ice cream tastes wonderful. 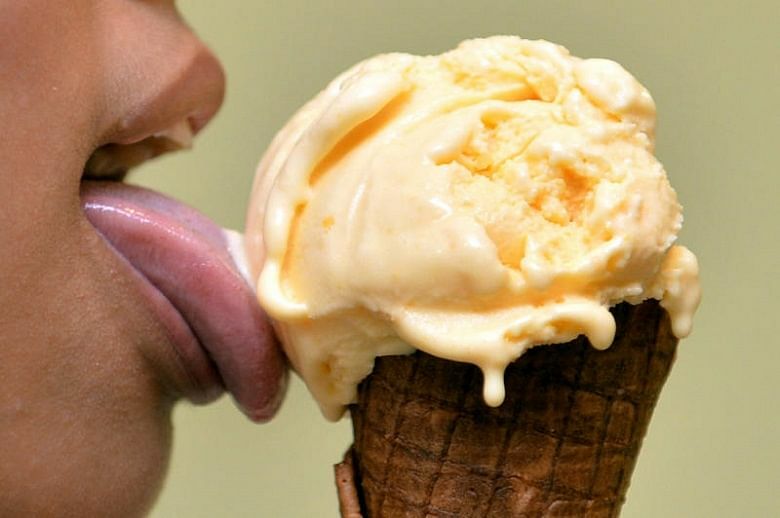 The best-selling Salted Butterscotch flavour, launched in 2013, currently accounts for about a third of their sales. Creamier first opened in Toa Payoh in 2011, a stone’s throw away from the bustling wet market and hawker centre, serving its lovely ice creams handcrafted in small batches (from $3.60 for a single scoop) and barista-pulled coffees. 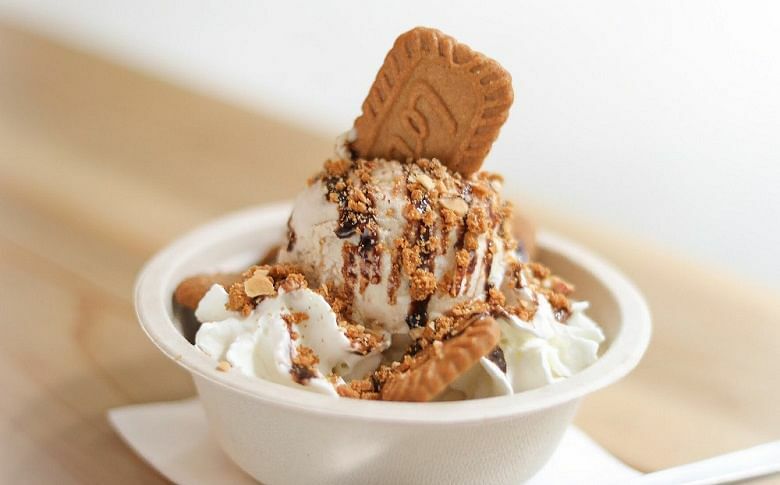 Seven years on, Creamier now has three outlets (Gillman Barracks opened in 2016 and Tiong Bahru in 2017) and continues the good work of churning out well-made ice creams using quality ingredients. Its ice creams capture the essence of the flavours and are lusciously creamy, with good body and a smooth texture. Its best-selling flavour of all time is the Sea Salt Gula Melaka, its take on salted caramel with an Asian twist that is made with palm sugar sourced from Malaysia and hand-harvested sea salt from England. The Roasted Pistachio ice cream is rich and resplendent with the savoury-sweet nuttiness of Italian pistachios; and the Thai Milk Tea ice cream made from a premium Ceylon tea brew and sweet cream is fragrant and milky as the beverage, albeit frozen, should be. The latest addition is the Speculoos Cookie Butter ice cream, made with spices such as cinnamon, nutmeg, and clove, as well as crushed Speculoos cookies, which we think will go perfectly well with one of its freshly made crispy-on-the-outside-fluffy-on-the-inside golden waffles. Chocoholics rejoice, The Dark Gallery (first outlet in Millenia Walk) has recently launched a full-fledged 40-seater cafe and chocolate boutique with more housemade chocolate-centric creations at Takashimaya Shopping Centre. Besides its gorgeous dark and velvety Single Origin Dark Chocolate drink, and decadent Signature Dark Chocolate Sliced Cake with dark chocolate buttercream layered with dark chocolate sponge cake, the range of ice creams are not to be missed – especially its exquisite selection of homemade chocolate ice creams (from $5 for a single scoop). 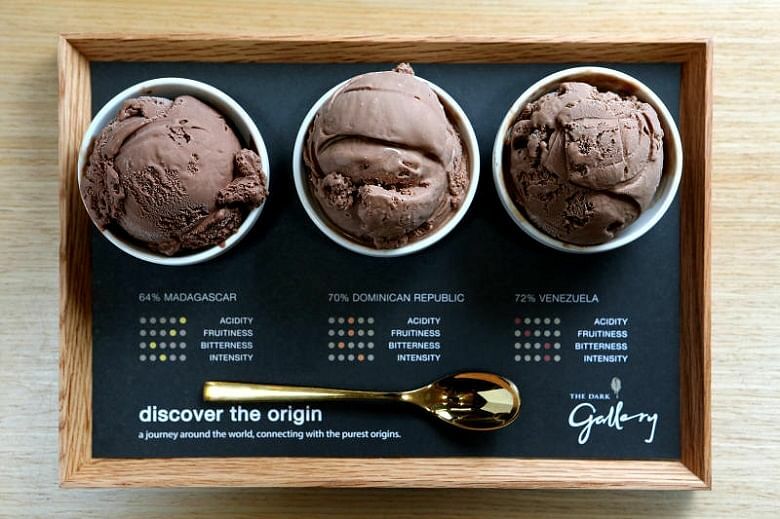 The Single Origin Dark Chocolate Ice Cream Platter is a good choice that allows you to try three types of single-origin chocolate ice creams. We had the intense yet slightly fruity 75 per cent dark chocolate from Tanzania, the bittersweet 70 per cent dark chocolate from Costa Rica, and the aromatic and milder 64 per cent dark chocolate from Madagascar, and declared it chocolate heaven. Apiary, which will turn two this September, is a pretty little ice cream shop in Neil Road that is decked in light wood. The milky and velvety-smooth ice creams here are made from scratch and flavours are calibrated to the right intensity and balance that allows the ingredients to shine through. Highlights include its Ferraro Rocher flavour and Sicilian Pistachio ice cream, which is a hit not only with locals but Italian customers as well. Other unusual flavours include the luxe Summer Black Truffle, a mildly spicy Pink Peppercorn and Blue Milk, a bestseller that sees the use of blue pea flower and sea salt. A great place to sit down and enjoy some lovely ice cream with their signature waffles (charcoal or plain) and yummy brownies. This dreamy little gelato shop housed in a shophouse along East Coast Road is celebrated for its all-natural handmade gelato (from $4.70 for a single scoop). Helmed by engineer-turned-gelato maker Edwin Lim, the takeaway concept serves botanical-inspired flavours that are light on the palate and refreshing. Purity of flavour is what Mr Lim looks for and you can taste it in the floral White Chrysanthemum gelato with crunchy cocoa nibs, the fruity and slightly herby Strawberry and Basil and the deliciously fragrant Pandan. Do also try the thyme-infused waffle cone, also painstakingly handmade in-store. 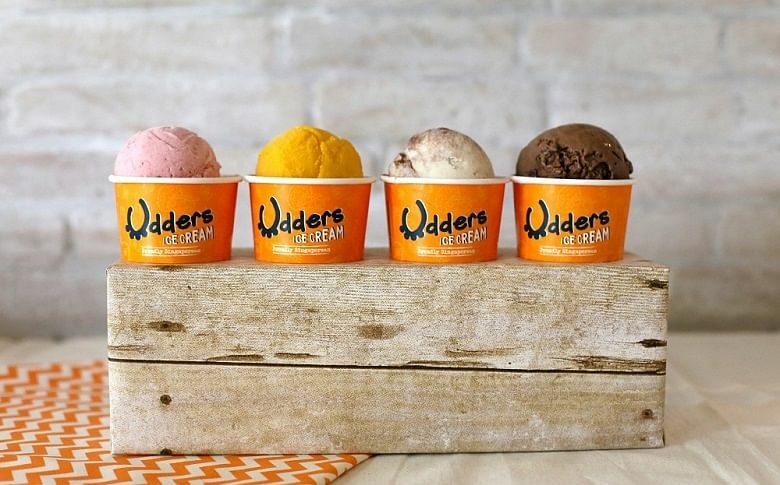 For ice creams that pack a punch of flavour and booze, Udders is the place to go. 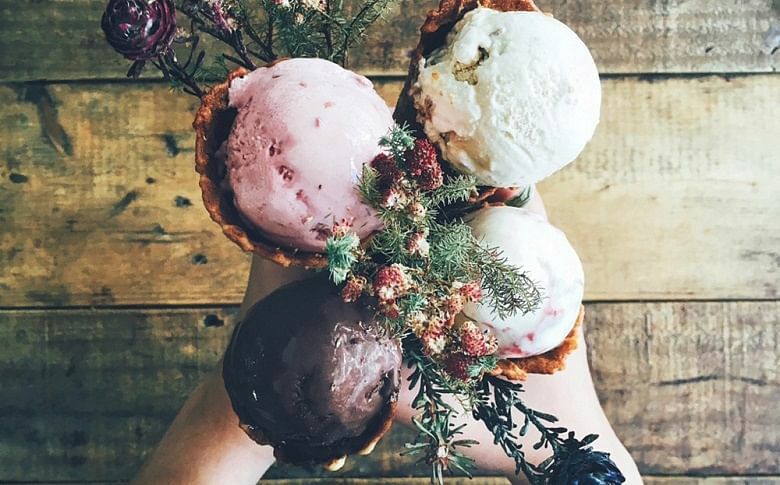 This home-grown ice cream enterprise turns 11 this year and remains a firm favourite with ice cream lovers (from $4 for a single scoop). What makes its ice cream so good? Balance is the key. It goes through 20 to 30 versions of each flavour during the creative process to perfect the desired depth of natural flavour and mouth-feel, and to fine-tune the nuances. Best-selling flavours include Mao Shan Wang Durian and Champion Chendol. And don’t forget its “adults-only” ice creams with intoxicating liqueur flavours such as Rum Rum Raisin (3.9 per cent alcohol), Tira-miss-u (Tiramisu, 3.8 per cent alcohol using brandy), Baileys & Bourbon (3.3 per cent alcohol), Lychee Martini (3 per cent using vodka) – so potent that the shops need a liquor license to sell them, and you would have to be 18 years old and above in order to make a purchase. We hear that the chain is working on a healthy range of ice creams made with natural ingredients (free from artificial colouring and flavourings) and with a lower calorie, fat and sugar content to be launched under a new sister brand very soon. Definitely looking forward to checking that out. Tucked away at the end of Rangoon Road, this dessert cafe (the name literally translates to “No Main Course”) serves an array of Instagram-worthy desserts and pastries in a casual setting. 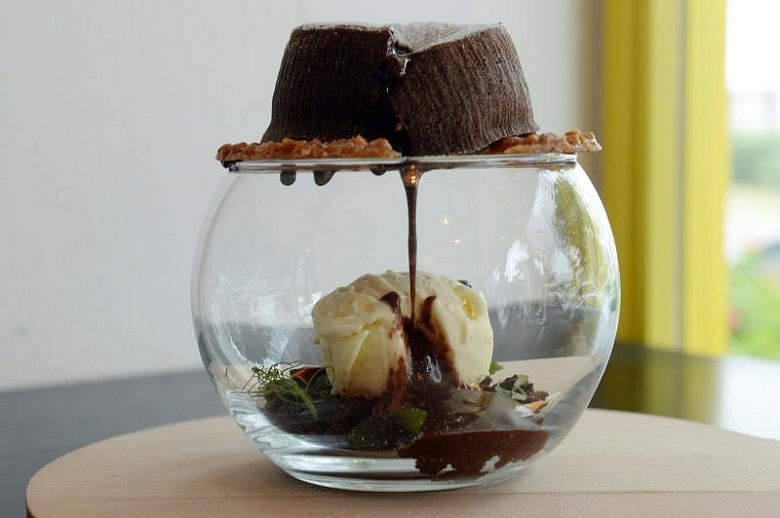 This three-year-old cafe is known for its Chocolate Avalanche, a chocolate lava cake made with premium Valrhona dark chocolate, sitting atop an Almond Nougatine and Orange-infused vanilla ice cream; and local-inspired desserts such as giant Ondeh Ondeh that has pandan mousse and gula melaka centre in a chocolate shell with desiccated coconut. Besides desserst, its yummy gelato (from $4.80 for a single scoop) are also worth a try. Available in myriad classic and local-inspired flavours that includes White Rabbit Candy, Pineapple Tart, and a delightfully intense Nanyang Coffee flavour with burnt butter added.